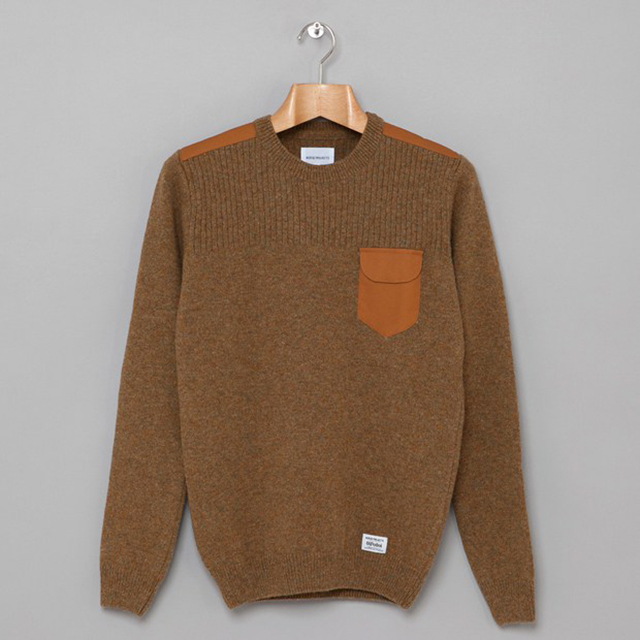 The regular fit Agni knit has been designed in collaboration with Manchester’s Oi Polloi. 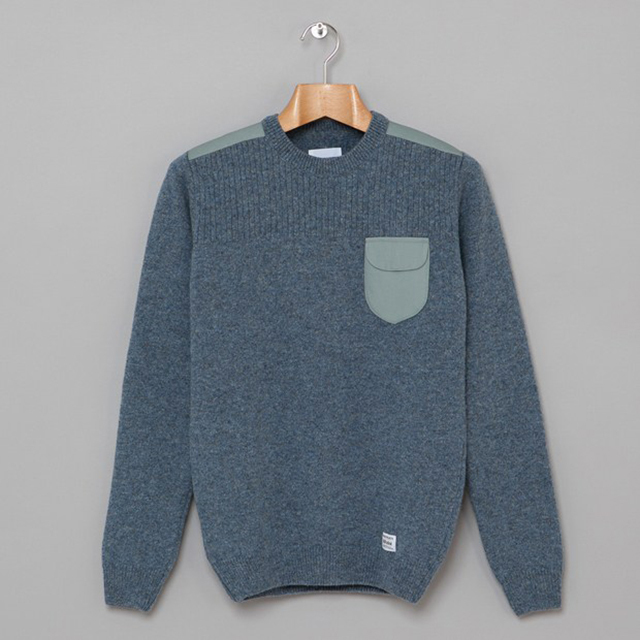 This military inspired pure super soft lambswool with half rib top yoke. 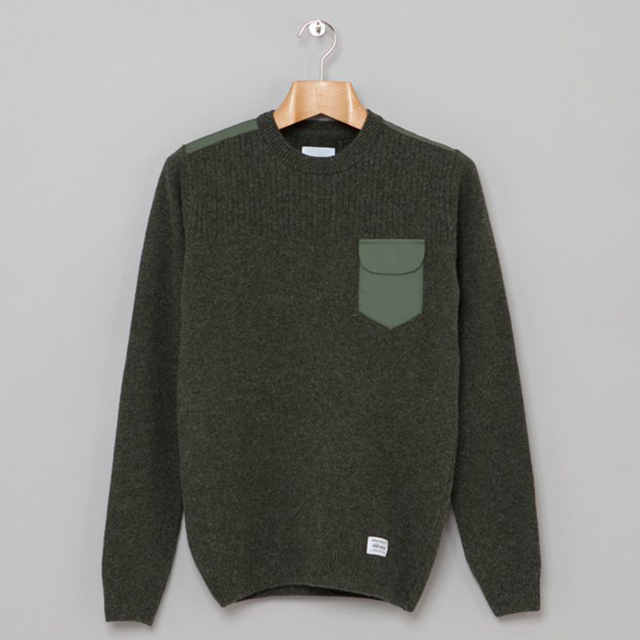 It features a tonal cotton poplin front patch pocket and shoulder patches. 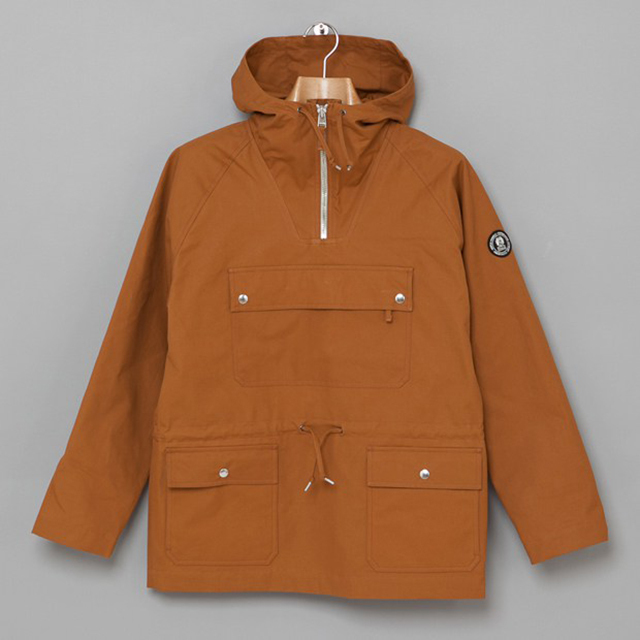 The Kaare Anorak, first issued in AW11, continues the collaboration with Manchester’s Oi Polloi. 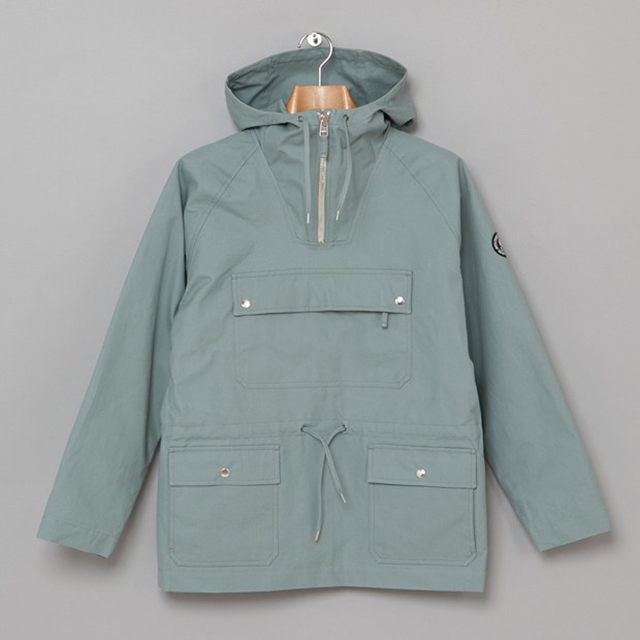 It is an over the head style in a durable heavyweight cotton canvas, woven in England. It features two lower pockets and a large snap down chest pouch pocket for larger items. Features a waist adjuster and adjustable snap cuffs. Regular to slightly oversized fit.